Learn more about the NBA's sneaker policy. 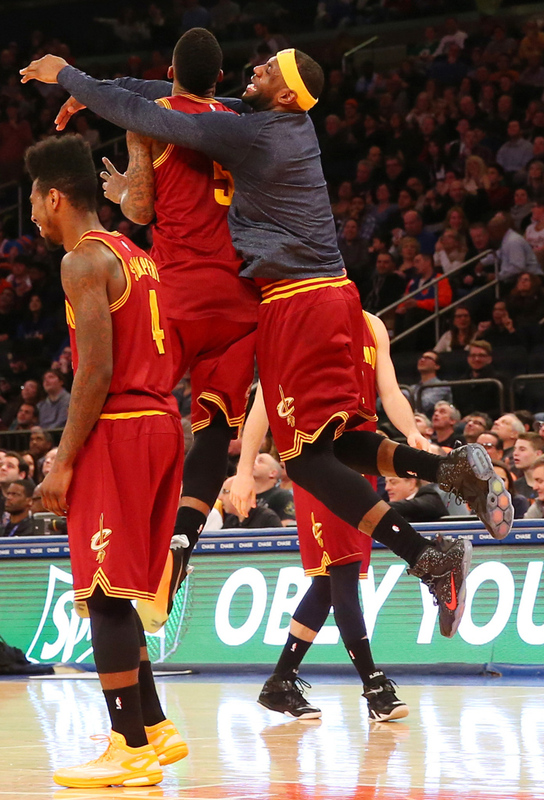 The Cleveland Cavaliers continue to roll, led by a rejuvenated and refocused LeBron James. 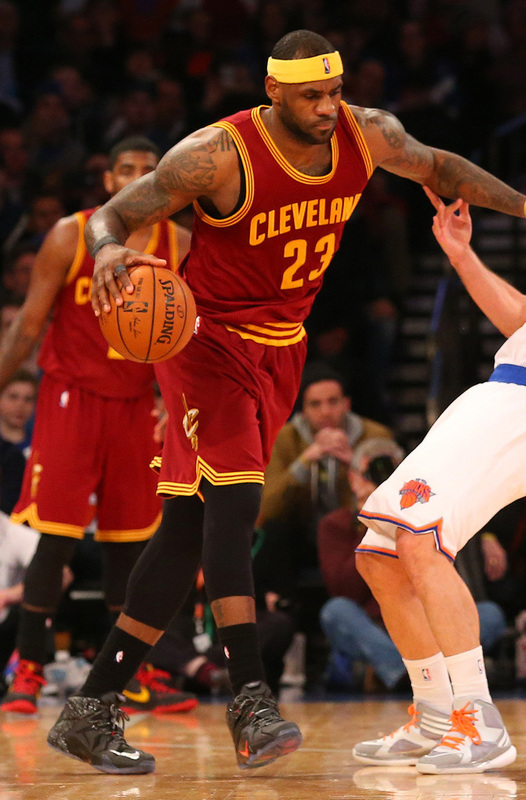 Today, the Cavs visited Madison Square Garden, where they made easy work of the New York Knicks. 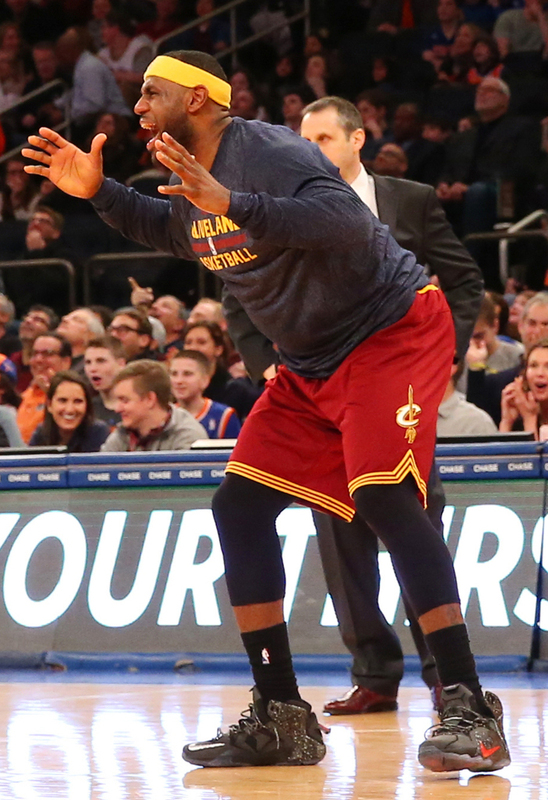 James had 18 points, 7 rebounds and 7 assists in a 101-83 victory. 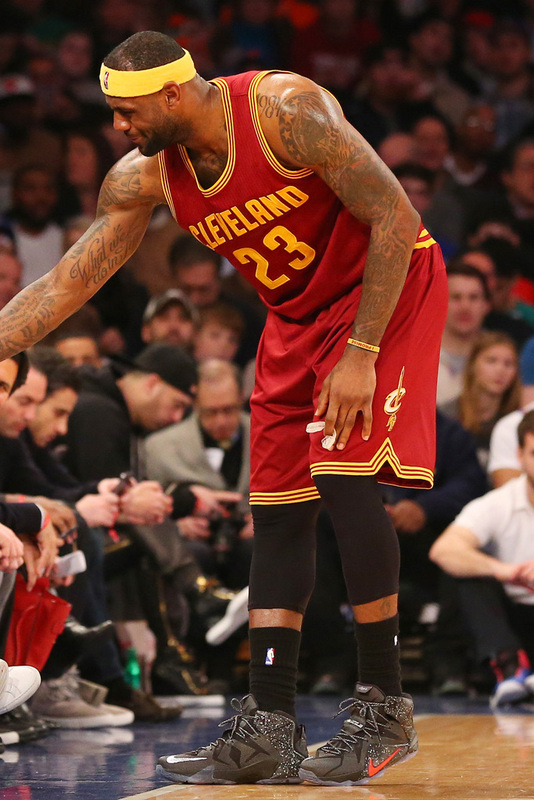 The MVP candidate also debuted a new Nike LeBron 12 PE — a black and red colorway, with white speckles throughout the Hyperposite overlay.